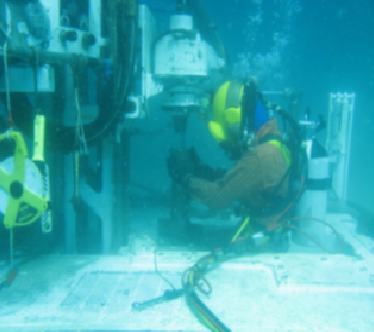 Shelf Subsea owns a single mast and dual mast diver-operated drilling rig for coring and pipeline stabilisation (rockbolting). 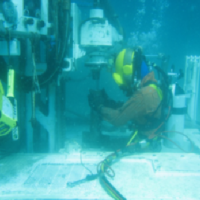 Our single mast PQ3 coring rig has been operated by divers in Saturation (65m of water) achieving 70m cores whilst our dual mast rock bolting rig has installed over 1000 pairs of 5.5 metre bolts on multiple subsea pipelines. 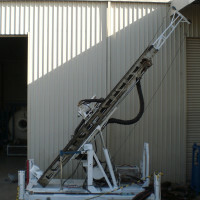 Shelf Subsea can also offer a number of unique, innovative Geotechnical sampling solutions for seabed investigation, whether it be for bulk seabed sampling or the removal of overburden with our mechanical Clam Shell Grabs or smaller samples with our diver operated Push Tube sampler. 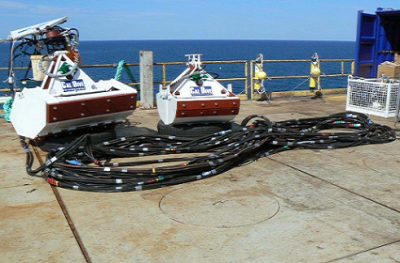 Two mechanical clamshells grabs where designed and built in 2008 for a project for Vermilion Oil and Gas Australia. 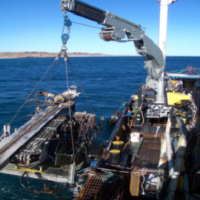 The project involved the removal of over 170Te of rock dump in 54msw at the Wandoo B platform prior to the installation on a new drilling template. Frame footprint of 4.8m (L) x 2.6m (W) with capability to increase to 5.0m (W) for stability. Rig weighs 12t. 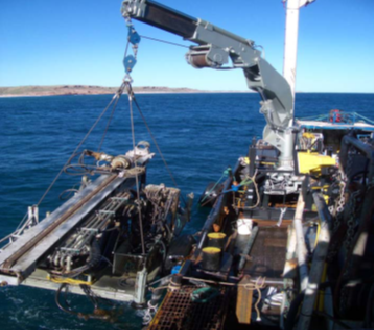 The drilling rig is second to none in design & operation delivering the most powerful and technologically advanced diver operated drilling rig being operated in the Australian market. 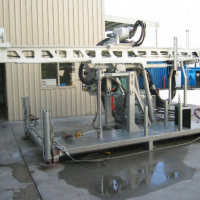 The drilling rig is compact and efficient both in design and operation, delivering the most powerful and technologically advanced single masted diver operated drilling rig to the Australian Market. 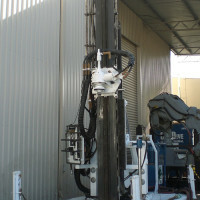 The Drill Rig has been fitted with a hydraulically actuated head slide that moves both the Gearbox and Hydraulic motor to the right of the mast centre line via a hydraulic ram. The drilling rig is fitted with an Edson gearbox that has a ratio of 1:1.57 rpm and coupled with the hydraulic motor can deliver a rotational speed of up 900 rpm. 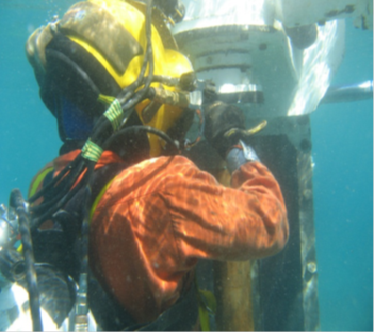 This speed can be controlled on the diver’s panel and is notionally set at 350rpm for coring operations. 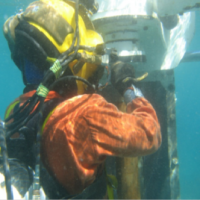 The mast is primarily constructed of 20mm plate steel that centralises the majority of the drilling rigs weight directly over the hole being drilled. 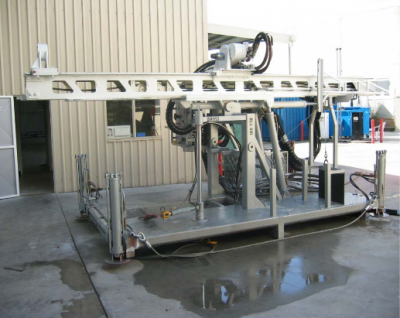 A hydraulically operated purpose built break out tool is fitted onto an adjustable chromed cylinder and are manually lifted to the desired height for breakout operations. 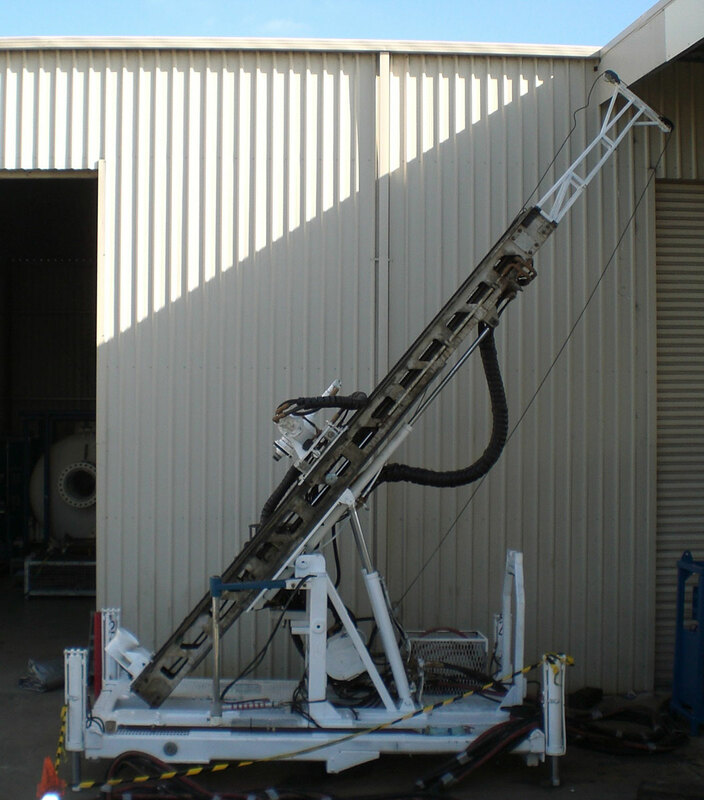 The Drilling Rig is fitted with four hydraulically actuated legs that have independent controls situated on the main control panel and have a 850mm stoke. Each of the four legs can be independently and manually extended out by 600mm to increase the area of the drill rig base. The drill rig can be launched by either ‘A’ Frame or HIAB crane, with the drill rig in the launch/transport mode (mast laid down) allowing for smaller ‘A’ frame heights to be used. Shelf provides both an electric hydraulic power pack and a diesel hydraulic power pack to ensure uninterrupted operations. Shelf provides both electric and petrol water pumps to ensure uninterrupted operations. Shelf provides a comprehensively, fully stocked 10ft drilling container that houses all drilling spares and consumables. 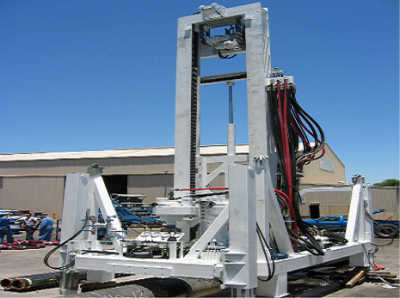 The drilling rig has a second hydraulic motor/gearbox designed to deliver a slower rotational speed of 80rpm with a significantly greater torque value for the installation of pipeline stabilisation anchors or ‘Rock Bolts’. 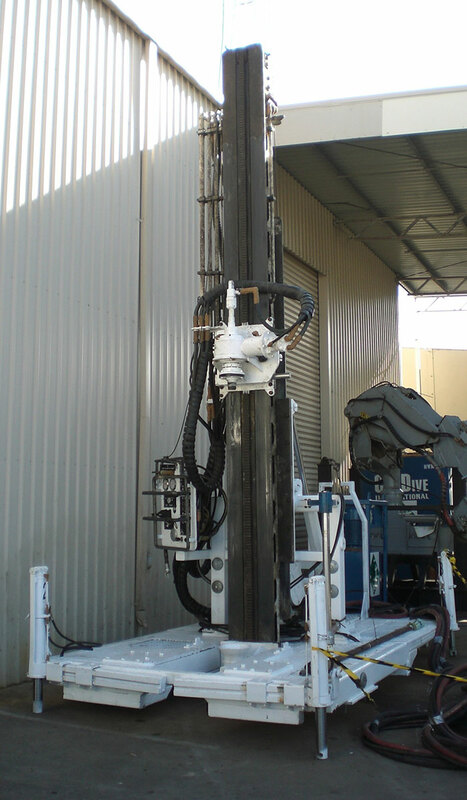 Within hours, the core drilling rig can be converted to a pipeline stabilisation drill rig whilst in the field.